Earthquakes and volcanic activity remain high on the agenda, with two significant earthquakes observed in the region. A magnitude 6.1 earthquake occurred on the 23rd of January 2018, affecting provinces of Banten, West Java and Jakarta in Indonesia. 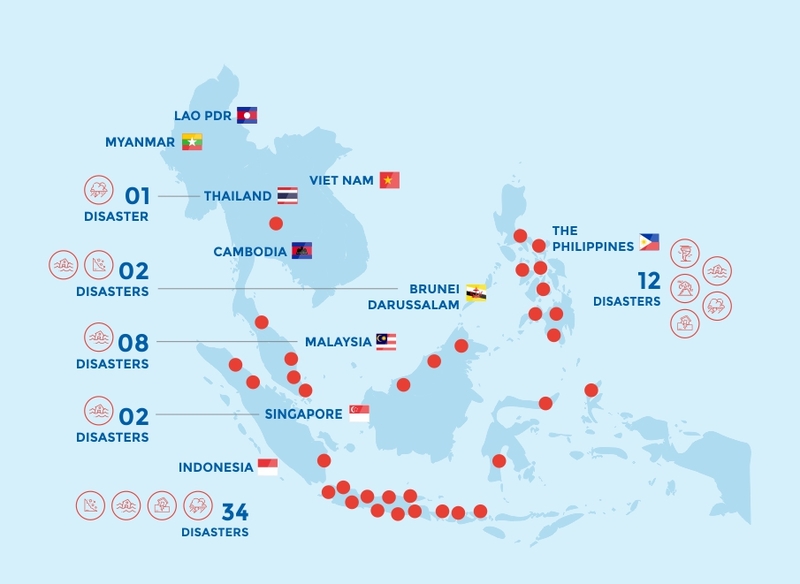 Although there were over seven thousand homes damaged, the emergency response was managed well by the Indonesian authorities. More recently, a magnitude 7.6 earthquake was recorded in Papua New Guinea on February 26th, with tremors felt and light damage caused in several regencies of the Papua Province (Indonesia). 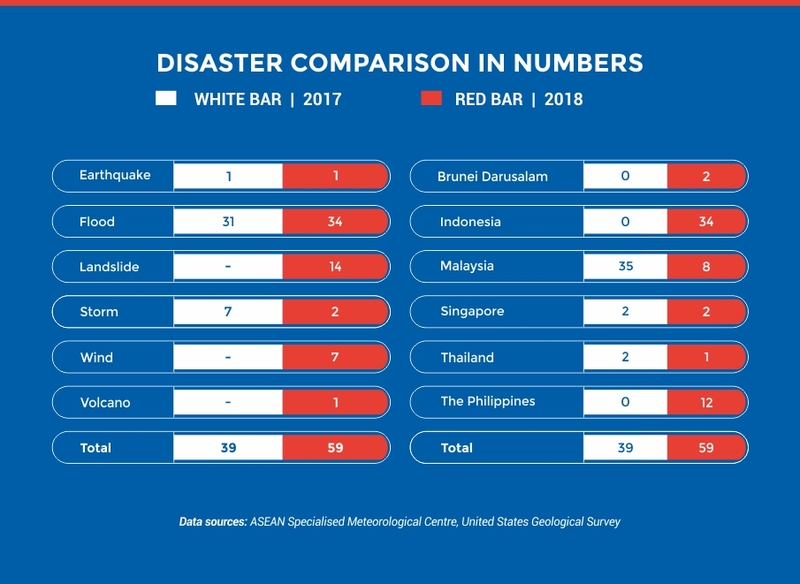 The earthquake was followed by 53 strong aftershocks (M 5.0 and above) within the following week, without additional damage experienced in any parts of Indonesia. Also in Indonesia, the situation on Mount Agung, Bali, has greatly improved, with its alert level being lowered, and its mandatory exclusion zone relaxed. In the Philippines, Mount Mayon’s Phreatomagmatic Eruption, has been ongoing throughout January & February. 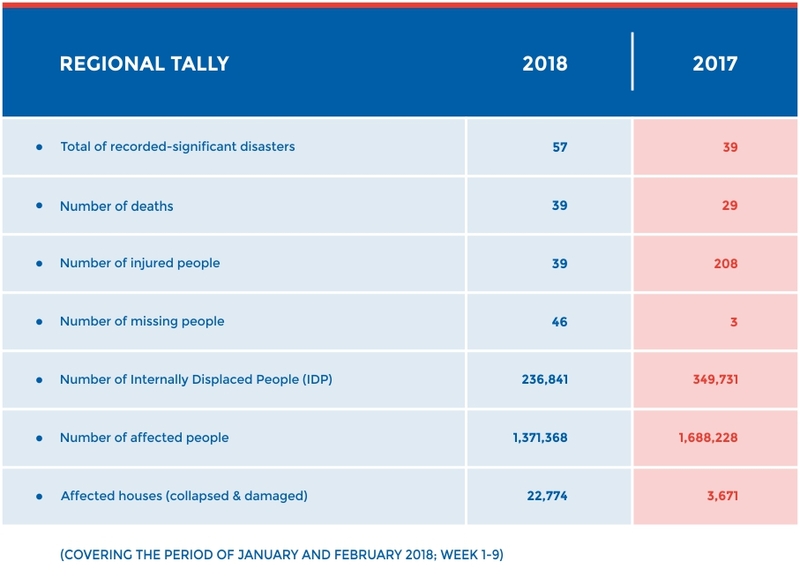 This activity has affected the daily lives of more than 90,000 people in the Albay Province, yet there have been no human casualties reported, showcasing the result of effective preparedness and response. ASEAN Specialised Meteorological Centre (ASMC) has forecasted that during the coming months, the region will begin a gradual transition from the current Northeast Monsoon season to the inter-monsoon period. The inter-monsoon period (April and May) is a transition period that sees low-level winds in the region being generally light and variable in direction, with an increase in light rain activity expected across ASEAN during this time. For the March-April-May 2018 season, slightly below-average to near-average rainfall is forecasted for most parts of Southeast Asia, except for the Philippines, who can expect slightly above-average rainfall during these months. During March and April, slightly above-normal rainfall is forecasted over the northern parts of Kalimantan and Sulawesi, as well as the western districts of Papua.